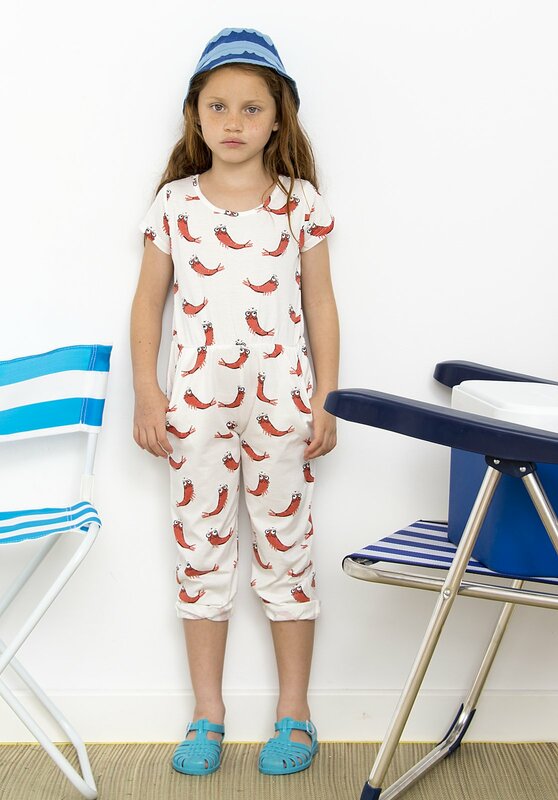 A short sleeved jumpsuit with the cutest little mustached shrimp print. This super soft and comfy jumpsuit has a zip back for easy dressing, and is gathered with elastic at the bottom. 100% organic cotton jersey.